I am advised by the council that if there is no change in the status/condition of the Bird House in Sydenham Road, then they will consider a compulsory purchase of this sadly neglected building. This sad building has been a regular feature on this site ever since I started it back in 2004 (click the tag below). 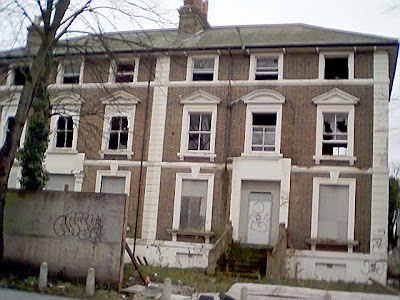 It is shameful that this once lovely building has been allowed to rot, especially as there is a housing shortage.